At Cabo Winery, we add fun and relaxation to the process of tasting and buying the best bottles of fine wine. 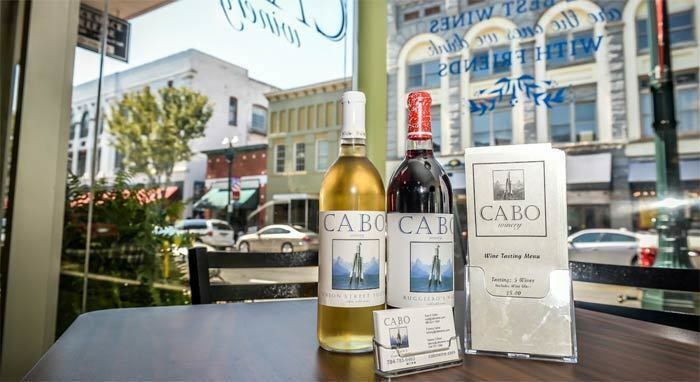 Whether you have been enjoying wine in your life for decades, or you are just beginning to appreciate a bottle of fine wine, you will feel completely at ease at Cabo Winery in Concord, NC. We began this business because we wanted to take the mystery out of selecting wine, while doing so in a relaxed and fun environment. You won’t find any snooty merchants here who tease you because you don’t know the difference between a merlot and a cabernet! We founded Cabo Winery because we saw a real need for a winery that gives you an experience unlike any other. Sure, you can pick up wine at a grocery store, but choosing one based on a pretty label is often a lesson in futility. It’s so much better — and much more enjoyable — when you get to experience the wine before you buy it. With our assistance, you can select from our wide inventory of wines that have been carefully chosen to match any unique taste.